How many friends do you have? Now, I don’t mean your “friends” on social media, but I mean, really good friends who are your mentors, your confidantes, your buddies. Chances are, that number is quite a bit smaller than your social network. And that’s fine, because the number of close-knit friends we have usually can be counted on one or two hands. There’s a good chance you have girlfriends from elementary or high school, more from your college days, and even more through your professional life. I always think, if my car broke down, who would I call? THOSE are your close friends! There is scientific support that shows the benefits of having female friendships throughout your life. An article on healthline.com quotes studies from Stanford University and UCLA that show in times of stress, women tend to connect with other female friends. 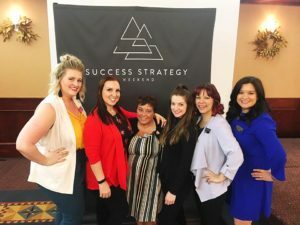 So many of you know the value of “girl power” through the Pure Romance training opportunities and our Success Strategy Weekends going on now. You use those weekends not just to learn from our team, but to share ideas, help other Consultants work through issues and give advice on what works for you. I’ve always been so proud of how we truly are a “team” at Pure Romance. Lifelong friendships are made through the company as no one is alone in this process–we help each other reach your goals. It really shows the benefits of having friends who will help you succeed and share in your success! Want to read more about the benefits of girlfriends? Find the article here.